Kalahandi: Panic gripped Siuni village under Amapani police limits in Kalahandi district on Sunday when a man was found hanging from a tree at his farms. The deceased has been identified as Pradeep Behera. 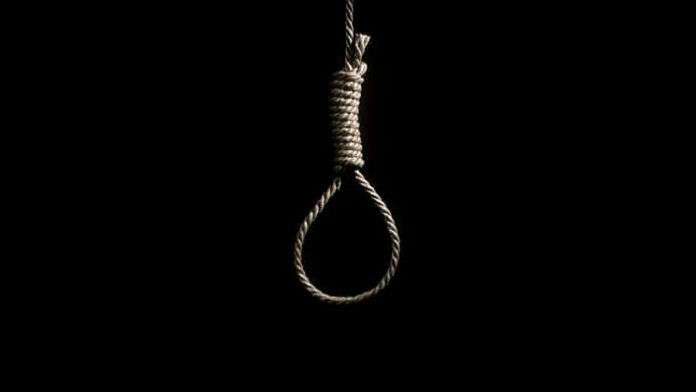 He has allegedly committed suicide by hanging himself from a tree using a saree. Reports state that Behera was caught by the Excise Department officials while he was returning to his village with 20 litres of country-made liquor on Tuesday. However, he managed to flee the spot following which the liquor and his motorcycle were seized by the officials. Behera’s family has alleged that he committed suicide as he was under mental depression. Meanwhile, the Police has seize the body and sent it for autopsy. Further investigation regarding the matter is underway.